The California Air Resources Board (CARB) and local air quality districts have shown that the environmental footprint of ports is highly significant. As documented by public health agencies and community organizations, port-related emissions are responsible for environmental conditions that may cause breathing and heart-related conditions for nearby residents. The state has established itself as a global leader in reducing GHGs by investing heavily in zero emission technologies, including hydrogen and fuel cells, and is now strongly focused on opportunities in the ports and the maritime sectors. The Ports of Long Beach and Los Angeles have adopted a joint Clean Air Action Plan to reduce emissions and eventually transition equipment to zero emission technologies. [i] Last month, we made a case for hydrogen as a driver in reducing fossil fuel reliance and GHG emissions, and we believe that ports and related industries are among the most promising starting points for this change. In October 2018, the California Hydrogen Business Council hosted the Hydrogen and Fuel Cells in Ports and Shipping Workshop at the Port of LA to discuss the importance of the role of hydrogen in ports and shipping, paint a picture of “green” ports of the future, and map out the process of commercializing hydrogen technology in ports and shipping. The three-day conference featured an array of keynote speakers and panel discussions involving terminal operators, technology providers and researchers from all over the world, and left participants informed and optimistic about the opportunities both for emissions reduction and improved port operations. The California Hydrogen Business Council (CHBC) and ACT News will host a one-hour webinar summarizing the workshop on Thursday, March 14, 2019. Register here. As part of our mission to enable clean, limitless mobility driven by fuel cells, Nuvera is currently working with CARB to develop a zero emission container handling truck powered by Nuvera® fuel cell engines for demonstration at the Port of Los Angeles (POLA) in 2020. The Hyster® top loader is manufactured by our parent company, Hyster-Yale Group, a global industrial vehicle OEM. On May 22-23, 2019, our Director of Marketing and Corporate Development, Gus Block, will speak at f-cell HFC: the Impulse Summit for Hydrogen and Fuel Cells in Vancouver. Block’s topic, “Onward and Upward: New Frontiers in Fuel Cell Motive Power,” will cover fuel cell technology for heavy-duty applications. As part of this event, the CHBC & the Canadian Hydrogen and Fuel Cell Association Ports Workshop will take place on May 21 , at which Gus will address port applications specifically. 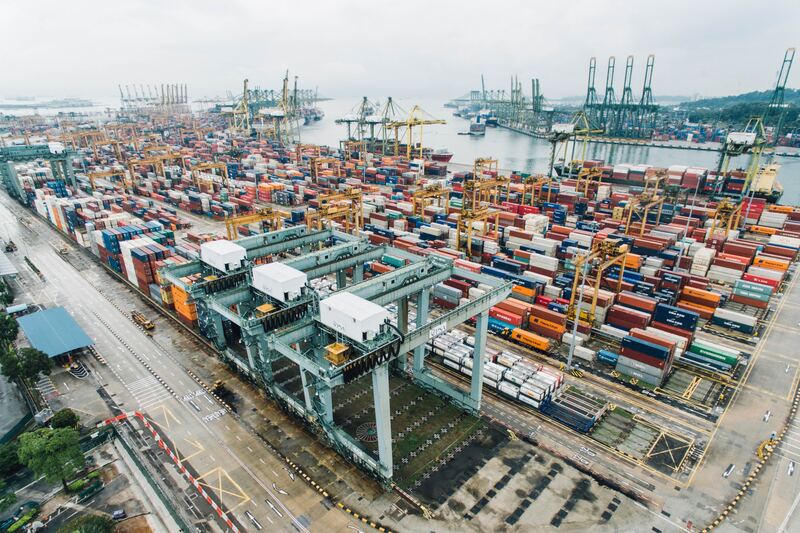 The shipping industry, ports and their related transportation infrastructure are about to undergo massive change to comply with forthcoming regulations and to remain economically viable in the future. Nuvera is proud to be among those leading the way by providing zero emission, high productivity fuel cell solutions for port and maritime operations.